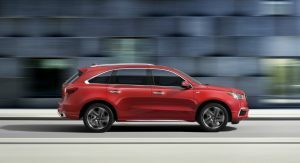 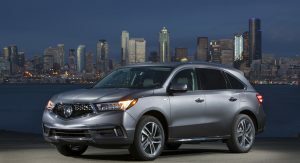 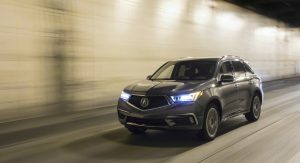 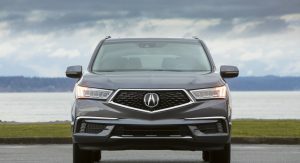 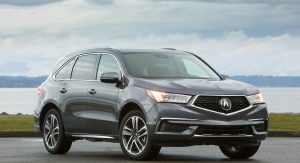 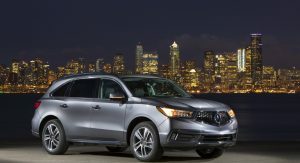 For the 2018MY, the Acura MDX Sport Hybrid will enter showrooms boasting an upgraded user interface, additional tech as well as two new exterior colors, Basque Red Pearl II and San Marino Red. 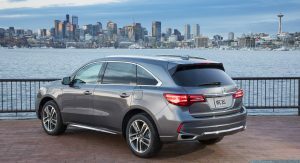 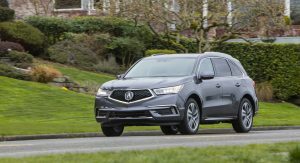 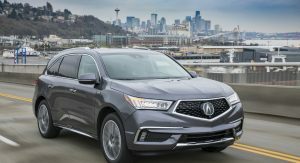 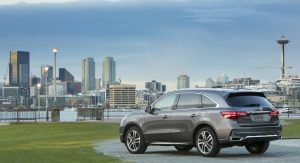 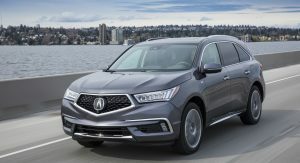 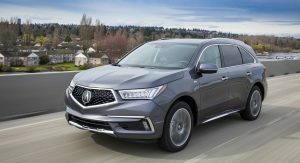 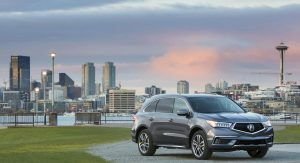 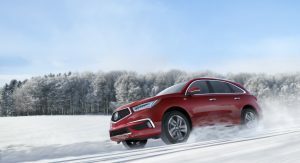 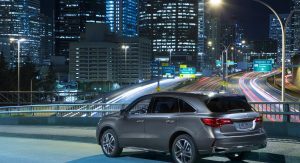 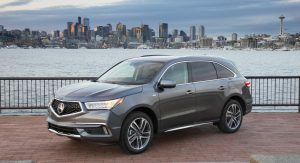 Prices start from $53,095 ($995 destination charge included) for the MDX Sport Hybrid with Technology Package, whereas the Advanced Package version kicks off from $59,145. 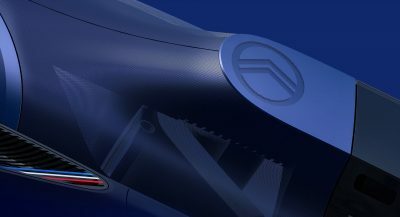 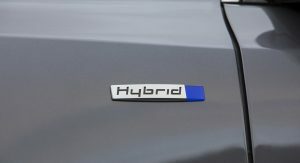 Both models utilize the automaker’s three-motor Sport Hybrid SHAWD system, shared with the 2018 NSX supercar and the RLX Sport Hybrid. 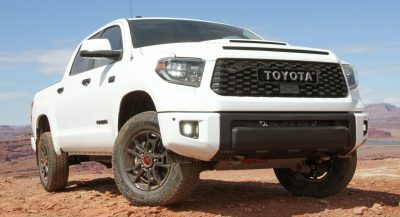 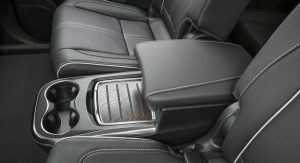 Both grades come with unique interior trim, stainless steel sport pedals and wood interior accents. 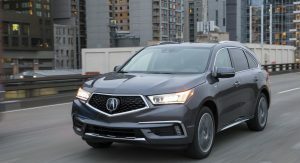 Where the Technology Package brings seating for seven, the range-topping Advance Package offers a 6-passenger interior with second-row captain’s chairs and a center console instead of a three-passenger bench seat. 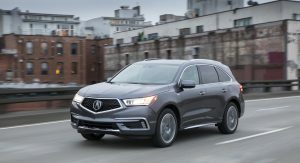 For 2018, the MDX Sport Hybrid also features a redesigned dual-screen user interface with more intuitive menus and a new 7″ touchscreen with 30% faster response times. 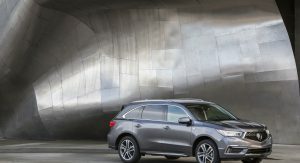 There’s also available Apple CarPlay and Android Auto as standard. 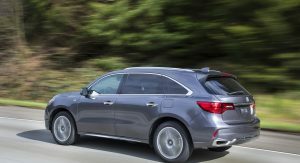 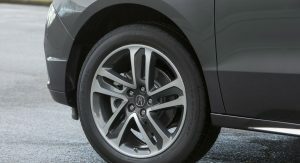 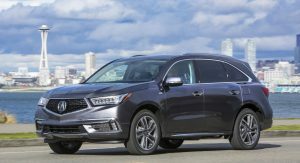 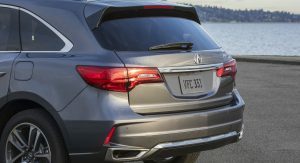 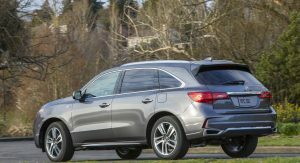 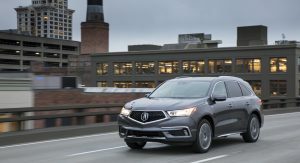 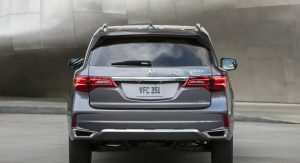 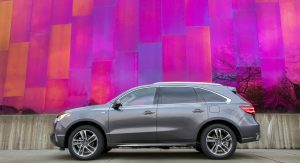 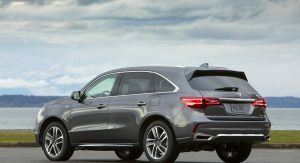 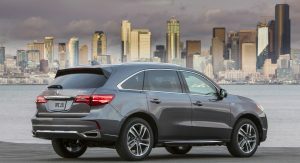 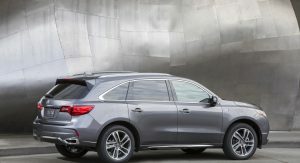 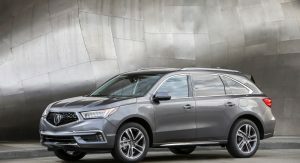 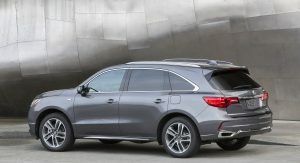 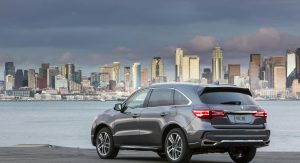 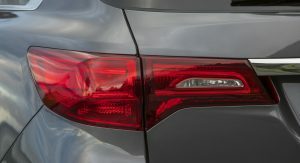 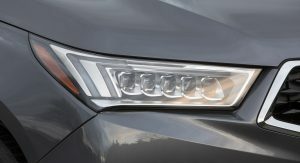 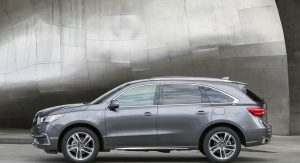 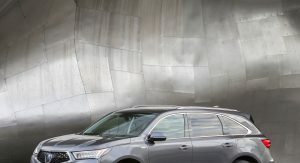 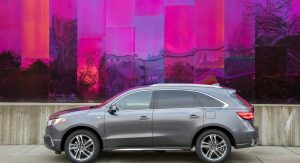 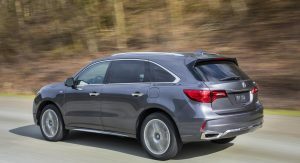 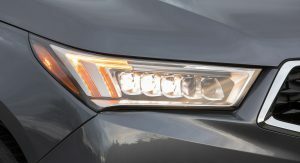 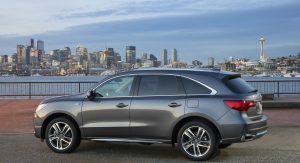 Every MDX Sport Hybrid model is equipped as standard with the AcuraWatch suite of advanced safety tech, which include Adaptive Cruise Control with Low Speed Follow, Collision Mitigation Braking, Forward Collision Warning, Lane Keeping Assist and Road Departure Mitigation with Lane Departure Warning. 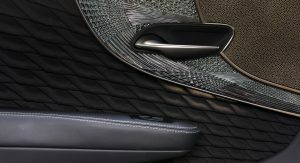 lol at the last pic being the Lexus LS’s interior door handle. 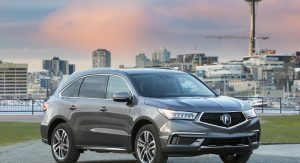 everyone knows Acura could never do anything that nice. 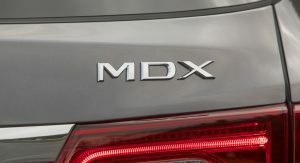 These are surprisingly quick and far more composed on the adaptive suspension than the standard MDX. 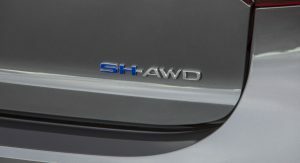 I wish it weren’t so dowdy looking. 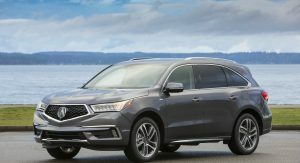 Honda needs far more design differentiation for their Acura division. 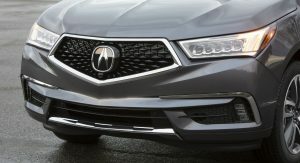 The interior and exterior scream high-end Honda rather than bespoke, special, upscale vehicle befitting of an entirely separate badge. 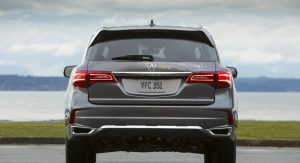 I see not much more here than a tarted up Honda Pilot. 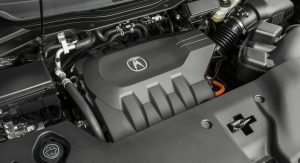 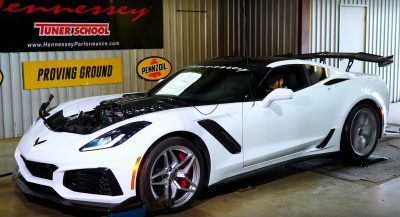 At $60k, the innovative powertrain is also “just” a V6 at the end of the day and this is also a let-down. 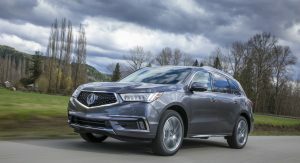 Honda must give Acura the space it has long deserved to pursue their own design and engineering direction inside and out.